Announcements, maintenance notices, and other assorted non-topic posts that are worthy of your attention. Welcome to 2019! I hope your year is completely fantastic and full of bright blessings. I hope for a waning or even removal of all unwanted things for you. I hope for a brilliant start and a better finish with a good, solid middle. I hope and wish for your story to be amazing this … Continue reading Welcome to 2019! Class is in session! Essentia of Crown Witchcraft sign ups are now open! Essentia of Crown Witchcraft, my 101 secular witchcraft online course, is now open for sign ups. Classes start March first and run until April 15th. This is a super cheap price for this course guys, no joke, so hop on it while you get the chance! I can't even tell you how excited … Continue reading Class is in session! Essentia of Crown Witchcraft sign ups are now open! Welcome to 2018! How are you spending your first day of the new year? I always spend my first week of the new year doing exactly what I want the rest of my year to be like. So the last days of the year are flurries to try and get stuff like laundry out of … Continue reading Hello 2018! I don't know about you but I'm really happy to show 2017 to the door. I had a great year but it's been SO FREAKIN' BUSY. I'm so ready for a fresh start. While I've spent the last few days finishing up business and setting up the things for next year. I figured set up … Continue reading Goodbye 2017! Happy Solar Eclipse + Book Release! Happy solar eclipse! I hope your day is full of lots of energy and magic. I know mine will be. 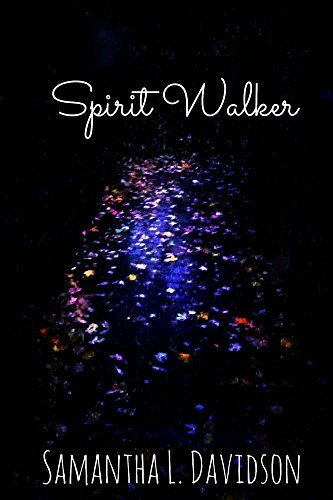 Big news though, aside from the awesome celestial actions in the sky, my new book Spirit Walker is out! You can buy it for Kindle right now. Paperback version should be available later today. (Should be. … Continue reading Happy Solar Eclipse + Book Release!